Manufacturer of a wide range of products which include cotton seed hull. Usage for making cattle feed, Mushroom cultivation & Oil drilling. Cotton seed hull are the outer covering of cotton seed, and the by-product of the dehulling necessary for cotton seed oil extraction. 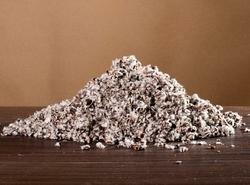 Cotton seed hull are a valuable substrate for mushroom cultivation and the spent substrate can be fed to livestock. Cotton seed hulls also have numerous industrial uses such as plastic manufacture, Oil drilling (mud additive) and further production. Cotton seed hulls fit well into feedlot and dairy rations to complement high concentrate ingredients.